It was the height of the Cold War when Sidney Gottlieb arrived in Congo in September 1960. The CIA man was toting a vial of poison. His target: the toothbrush of Patrice Lumumba, Congo's charismatic first prime minister, who was also feared to be a rabid Communist. As it happened, Lumumba was toppled in a military coup just days before Gottlieb turned up with his poison. The plot was abandoned, the lethal potion dumped in the Congo River. When Lumumba finally was killed, in January 1961, no one was surprised when fingers started pointing at the CIA. A Senate investigation of CIA assassinations 14 years later found no proof that the agency was behind the hit, but suspicions linger. Today, new evidence suggests Belgium, Congo's former colonialist ruler, was the mastermind. According to The Assassination of Lumumba, a book published recently in Belgium by sociologist Ludo de Witte, Belgian operatives directed and carried out the murder, and even helped dispose of the body. Belgian authorities are investigating, but officials admit de Witte's account appears accurate. Does that mean the CIA didn't play a role? Declassified U.S. cables from the year preceding the assassination bristle with paranoia about a Lumumba-led Soviet Communist takeover. The CIA was hatching plots against Cuban leader Fidel Castro and was accused of fomenting coups and planning assassinations worldwide. And Lumumba clearly scared the daylights out of the Eisenhower administration. "In high quarters here, it is the clear-cut conclusion that if [Lumumba] continues to hold high office, the inevitable result will [have] disastrous consequences . . . for the interests of the free world generally," CIA Director Allen Dulles wrote. "Consequently, we conclude that his removal must be an urgent and prime objective." Even out of office, Lumumba remained under the microscope of Western spy services. His ties to Moscow frightened Washington. His fierce anti-colonialism unnerved Brussels. 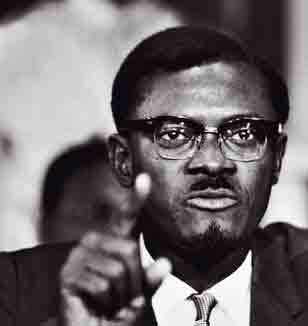 Belgium finally got its chance at Lumumba after Congolese authorities arrested him in December 1960. Belgian officials engineered his transfer to the breakaway province of Katanga, which was under Belgian control. De Witte reveals a telegram from Belgium's African-affairs minister, Harold d'Aspremont Lynden, essentially ordering that Lumumba be sent to Katanga. Anyone who knew the place knew that was a death sentence. Firing squad. When Lumumba arrived in Katanga, on January 17, accompanied by several Belgians, he was bleeding from a severe beating. Later that evening, Lumumba was killed by a firing squad commanded by a Belgian officer. A week earlier, he had written to his wife, "I prefer to die with my head unbowed, my faith unshakable, and with profound trust in the destiny of my country." Lumumba was 35. The next step was to destroy the evidence. Four days later, Belgian Police Commissioner Gerard Soete and his brother cut up the body with a hacksaw and dissolved it in sulfuric acid. In an interview on Belgian television last year, Soete displayed a bullet and two teeth he claimed to have saved from Lumumba's body. What remains unclear is the extent, if any, of Washington's involvement in the final plot. A Belgian official who helped engineer Lumumba's transfer to Katanga told de Witte that he kept CIA station chief Lawrence Devlin fully informed of the plan. "The Americans were informed of the transfer because they actively discussed this thing for weeks," says de Witte. But Devlin, now retired, denies any previous knowledge of the transfer. Either way, Lumumba's death served its purpose: It bolstered the shaky regime of a formerly obscure colonel named Joseph Mobutu. During his three-decade rule, Mobutu would run his country, bursting with natural resources, into the depths of poverty. It took a civil war to oust him, and Congo has seen little peace since. Today, at least five countries are fighting in Congo and Lumumba's son, an opposition leader, spent several weeks in a Kinshasa jail cell on politically motivated charges.